Special Offer Welcome to the Golden Triangle Tours India, is the most popular, famous tourist circuit in India. This incredible Golden Triangle Tour Itinerary comprising the three famous cities of India-Delhi, Agra and Jaipur having grandeur, glory & history. Best offers on Golden Triangle tours & travel packages at India Reisebuero Pvt Ltd. India has so many amazing places to see. This multi-day tour allows your to experience the best of Delhi, Agra and Jaipur, India's "Golden Triangle". Keep in touch & enjoy your holidays in Delhi Agra and Jaipur. We are offering the Delhi Agra Jaipur Tour package with great discounts. If you wish to have a full-fledged glimpse of India’s royal tradition and heritage culture in such a small time span, then avail our golden triangle tour package. India Reisebuero Pvt. Ltd., golden triangle temple tour operator in Delhi, is a destination management company, involved in organizing a variety of tours covering all the major tourist destinations of Delhi, Agra and Jaipur. Tour package are available for different budget and duration, in order to fulfil varied requirements of clients. 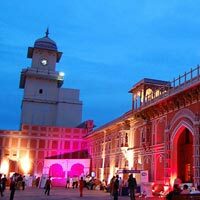 We are Delhi, India based renowned golden triangle tour operator. Below mentioned are the package details:Welcome to the Golden Triangle Tours India, is the most popular, famous tourist circuit in India. This incredible Golden Triangle Tour Itinerary comprising the three famous cities of India-Delhi, Agra and Jaipur having grandeur, glory & history. Best offers on Golden Triangle tours & travel packages at India Reisebuero Pvt Ltd. India has so many amazing places to see. This multi-day tour allows your to experience the best of Delhi, Agra and Jaipur, India's "Golden Triangle". Keep in touch & enjoy your holidays in Delhi Agra and Jaipur. 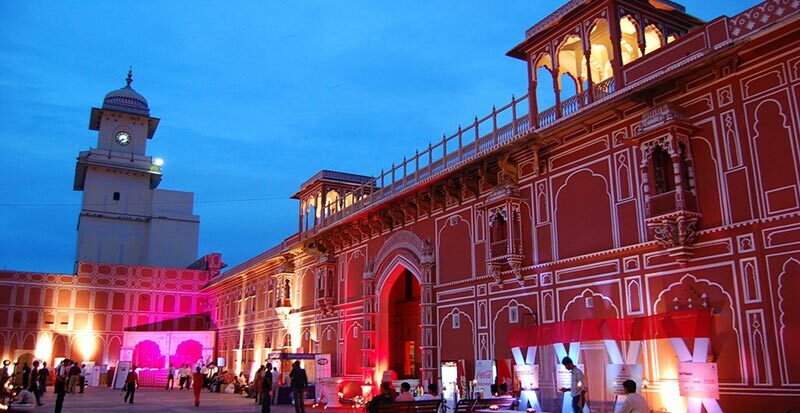 We are offering the Delhi Agra Jaipur Tour package with great discounts. On arrival at Delhi International Airport of Incredible India, Our representative will assist you to transfer to hotel, check-in & overnight halt at the hotel. After breakfast proceed for sightseeing tour of Delhi, the capital city of India. Major attractions include: Red Fort, Jama Masjid, Qutub Minar, Humayun’s Tomb, Chandani Chowk, India Gate, Rajghat, President House, Parliament House, Lotus Temple, Birla Temple, National Museum, etc. Dinner and overnight stay will be at the hotel. After breakfast, drive to Agra in Uttar Pradesh en route visiting famous Akbar’s Tomb at Sikandara. Arrive in Agra (the City of Taj) and check-in at the hotel. Later proceed for sightseeing tour of Agra visiting Taj Mahal and Agra Fort –UNESCO World Heritage Sites. Taj Mahal is India’s star attraction and one of the Seven Wonders of the World. It is lovingly known as the Symbol of Love as it was built by Mughal Emperor Shah Jahan in the loving memory of his most darling wife Mumtaz Mahal. Also visit the Itmad-Ud-Daulah Tomb –the Little Taj Mahal. Dinner and overnight stay will be at the hotel. Have hearty breakfast at the hotel. Later drive to Jaipur (the capital city of Rajasthan) en route visiting Buland Darwaza, Panch Mahal, Jodha Bai Palace and Birbal Mahal at Fatehpur Sikri which is also an UNESCO World Heritage Site. Arrive in Jaipur and check in at the pre-arranged hotel. Dinner and overnight stay will be at the hotel.